“Lenovo’s been the number one PC company for over three years now,” says Gerry Smith, an Executive Vice President at Lenovo and President of its Data Center Group, in a recent video. In fact, Lenovo’s 2015 PC sales represented about 20% of total market share according to Gartner. But a lot has changed in the past 10 years or so – especially in Lenovo’s now worldwide supply chain. These days, Lenovo has operations in 60 countries, customers around the planet, and it relies on a revamped supply chain driven by such thoroughly modern imperatives as sustainability, product security, real-time planning, and customer centricity. Lenovo’s dramatic growth has made headlines. In 2005, the company bought IBM’s personal computer business. Then, in 2014 came the acquisitions of both IBM’s Intel-based server business and Motorola Mobility. 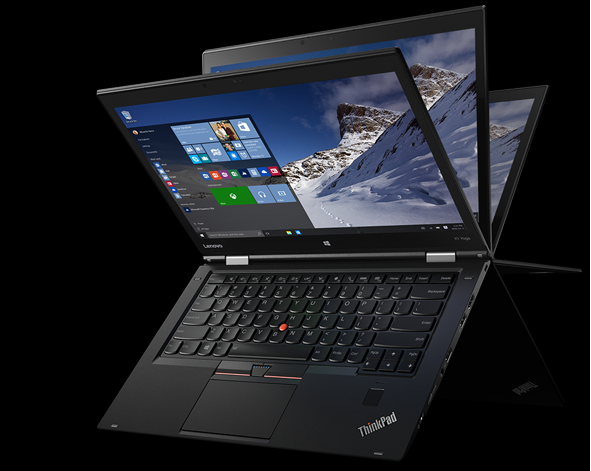 And as a result of such bold moves, Lenovo has had to adapt to an increasingly global marketplace and a growing list of international standards and regulations. As part of an integrated response to its full-scale globalization, Lenovo has established comprehensive sustainability programs across its broad supply chain. These initiatives address operations from internal manufacturing to packaging and logistics. Still other programs help Lenovo evaluate external suppliers on criteria such as employee working conditions, environmental footprint, and the use of environmentally preferred materials. In total, Lenovo reports that it uses more than 25 key indicators to measure vendor transparency, commitment, and performance. Lenovo’s global supply chain strategy also employs solutions designed to optimize process efficiency. For example, Lenovo implemented the SAP Advanced Planning and Optimization component on the SAP HANA platform to help plan and execute supply chain processes for the newly acquired server business. Additionally, the company partnered with SAP to co-develop new applications that support supplier collaboration and help to perform cost forecasting calculations in near real-time. Others obviously agree with Smith’s assessment. Gartner named Lenovo among its top 25 supply chain companies for 2016. In particular, Gartner cites the high-tech company for the “disciplined approach” it took to integrate its supply chain in the wake of recent acquisitions. Gartner also notes that Lenovo’s supply chain team ran specific programs to enhance customer experience and operational excellence – like the creation of a customer social/digital platform for key global accounts that presents content tailored to each customer’s preference in terms of order status, new product information, and technical support information. Further, Gartner highlights the fact that Lenovo assigns a supply chain staff member as an executive sponsor for each major account. A lot has changed since Lenovo was a little-known computer maker that sold only in China. Please follow me on Twitter at @JohnGWard3. Hear more from Lenovo’s Gerry Smith in this SAP video. Read more about how Lenovo is optimizing supply chain efficiency in this SAP Business Transformation Study.